* WCA begins dispatching trucks at 6:30 am. Residents are advised to have the appropriate items to be collected placed curbside by 6:30 am on the service days, as trucks might arrive before 7:00 am. Please reference the Guidelines sections for a list of items Accepted and Not Accepted for collection - and continue to be a thoughtful neighbor by only placing items curbside that are appropriate for that collection day. Holiday Schedule - WCA observes New Year’s Day, Memorial Day, Independence Day, Labor Day, Thanksgiving Day and Christmas Day. If your service day falls on one of the observed Holidays, you will be serviced on the next scheduled service day. Report a Problem or Have a Question ? 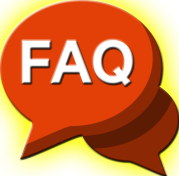 ✔ FAQ’s : Please reference the ‘Frequently Asked Questions’ section. Important : The Prestonwood Forest Directory ‘TRASH SERVICE’ information for Republic Waste is no longer correct. Please discontinue using this Directory reference after May 26. Important: The (yellow lid) 65 gallon WCA RECYCLE CART must be used for Saturday’s Recycle Collection. 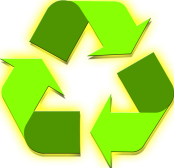 Please scroll to the ‘RECYCLING Drop-Off Locations’ section for additional information on area locations, free hazardous waste disposal and opportunities to donate your working appliances and household electronics. o Paper Milk and Juice Cartons (waxed paperboard containers). Yard waste includes leaves, grass clippings, branches, and general yard debris. o This total includes household waste bags/containers on Saturday’s collection. ✔ Items must be in bags, customer containers, or securely bundled. ✔ Bags and containers are not to exceed 40 lbs. each. ✔ Branches and limbs should be no longer than four (4) feet in length, and six (6) inches in diameter. All branches and limbs should be tied in bundles weighing less than 40 pounds, and bundles should be stacked uniformly at the curb. o Tree/Yard waste not conforming to containment/weight/size specifications above. o Tree trunks are NOT accepted. ✔ Containers, bags and bundles must not exceed 40 pounds. ✔ Carpet must be bundled and no longer than 3 ft. Each bundle must not exceed 40 pounds. ✔ Household Appliances and Furniture. Important: Wednesday’s automated collection is for the (all-blue) 95 gallon WCA TRASH Cart ONLY. Waste that is NOT in this WCA TRASH Cart will NOT be collected. ✔ Garbage - consisting of the accumulation of household waste from food preparation. 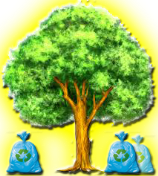 ✔ Rubbish - consisting of paper, plastic, glass, crockery, and floor sweepings, mineral and metallic items. Yard Waste items such as tree logs and large branches. All items in the above ‘NOT ACCEPTED’ lists for Bulk/Heavy Trash and Tree/Yard Waste. On the scheduled Household Trash and Recycling days, WCA Poly Carts must be placed at your curb before 7:00 am, with the cart handle and wheels facing the curb. o Carts must also be placed away from mailboxes, posts and other objects that could affect safely lifting and replacing the carts. ✔ Items must be contained in the cart with the lid closed. 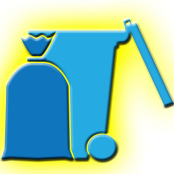 o Items place on top of the cart or beside the cart will NOT be serviced on Automated Collections. ✔ Tip: Bagging your trash before placing it in the cart will help prevent blowing trash, when the cart is emptied, and help maintain the cleanliness of the cart. 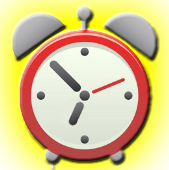 On Saturday’s, Bulk/Heavy Trash and Tree/Yard Waste must be placed curbside before 7:00 am. ✔ Please make sure Waste and Bulk items must be at least 3 feet away from WCA Poly Carts, , parked cars and other objects such as lamp posts, and mailboxes are not obstructed by parked cars or other obstacles and do not present a traffic hazard. ✔ Loose items must be properly bundled, bagged or in containers – and conform to weight and dimension requirements. 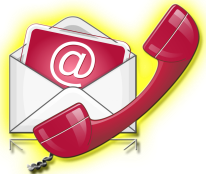 Please Contact Us if you have questions to add to this FAQ list - to help keep your friends and neighbors better informed. 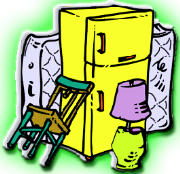 ✔ Ensure that items placed curbside conform to the ‘Accepted’ waste collection items. 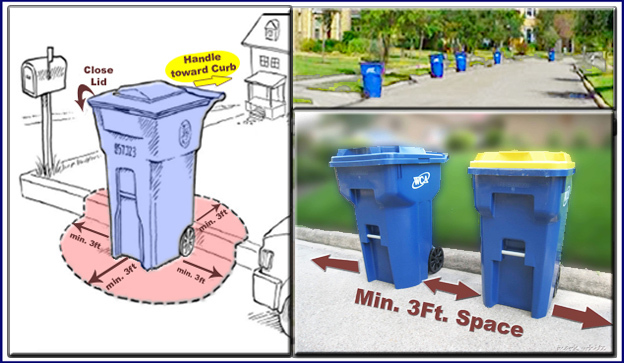 ✔ Appropriate curbside placement of carts and non-cart waste, to ensure collection. Can I use my PERSONAL trash containers for Wednesday’s Automated Collection? No, on Wednesday, the automated collection truck will service only the large blue WCA TRASH cart. Personal containers may be used for Saturday’s collections, however. Can I use the (yellow-lid) RECYCLE cart as an ‘extra’ cart for household waste or non-recycle items? No, please use the (yellow-lid) 65-gallon RECYCLE cart ONLY for the ‘Accepted’ Recycling Items. Can I use plastic liners in the (yellow-lid) RECYCLE cart – or put RECYCLE items in plastic bags? No, WCA cannot accept RECYCLE cart contents in plastic bags, as these bags cause issues for the conveyor belts at the recycling center (the ‘Materials Recovery Facility’). Anything that goes into the (yellow-lid) RECYCLE cart should be washed out and not have any type of food or contamination on it. If someone puts household waste in (yellow-lid) RECYCLE cart - it causes everything to be contaminated, and not to be accepted at the Materials Recovery Facility. Consult the RECYCLE guidelines for the ‘Accepted and Not Accepted’ Recycling Items. Make sure to rinse ‘Accepted’ items so there is not food residue or other contaminants on the items you are recycling. Place ‘Accepted’ Recycle items directly into the (yellow-lid) 65 gallon RECYCLE Cart. Place the (yellow-lid) 65 gallon RECYCLE Cart curbside for the SATURDAY Recycle Collection. The (yellow-lid) RECYCLE carts are NOT serviced on Wednesday. Can I use my PERSONAL trash cans on Saturday collections? Please reference the guidelines for weight and ‘Accepted’ content considerations. How do I dispose of my old PERSONAL trash containers? On Saturday, tape a paper to the side of the container that is clearly visible with a message such as 'Please remove this trashcan'. Why is the cart distribution tied to being current with the Annual Maintenance Fee? The largest single budget item, paid by the Maintenance Association dues, goes toward waste collection. Are there any other cart fees? A resident, who ceases to be in good standing with the annual Maintenance Association dues, is responsible for any waste collection start up charges, including items such as cart redeployment. Curbside Recycling for many items is available on Saturday. In addition, recycling drop-off locations are available throughout the area, as are opportunities for donating your working appliances and household electronics. Hazardous Waste is not collected by WCA, however Harris County offers free hazardous waste disposal to county residents, to ensure proper disposal of these materials. The following locations were provided by our residents. If you are aware of new locations or changes to these drop-off locations or services, please Contact Us to help keep this list up to date. Important: please be sure to call or visit the location to confirm acceptance of materials. Goodwill Industries of Houston . Drop-off location: 12942 Willowchase Drive, 281-758- 2664 (Next to Fiesta). Goodwill accepts computer equipment regardless of condition, monitors, and televisions and other electronics. Goodwill partners with Dell to dispose of old computer equipment. Lowes, Hwy 249 & Cypresswood. Lowes provides a drop off container near the customer service counter for your CFL, rechargeable batteries, and plastic bags. Cypress Creek High School , 9815 Grant Road – the plastics recycling bin is near the Grant Road entry. Target stores – many have recycling bins, including glass recycling at the front of the store. 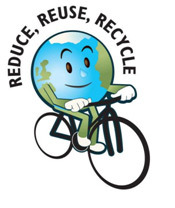 *rinse aluminum recyclables, place in plastic bags then place bags in collection containers. Please take Household Hazardous Waste Materials to the ‘Harris County Hazardous Waste Facility’ 6900 Hahl Road (At 290 & Gessner) for proper disposal. This is a FREE SERVICE for all Harris County residents. Please visit their website (www.HCHHW.org) for facility hours, map, calendar and accepted materials information.